1. Make Social Media a Top Priority: Your social media presence is an integral part of your brand – ignore it at your peril. Think of Facebook as the front door to your brand’s online home, your website. You wouldn’t want it to look run down, with peeling paint and cracked windows, right? Didn’t think so. That means it’s essential to make sure your Facebook page reflects your brand with professional-looking cover and profile photos. Also, if your last post or status update was way back in 2013, make it your top priority to post a new update and to keep your page up to date, with posts at least weekly. ​If time and money are a concern, determine which social media channels are most important to your business and tackle those. One or two – like Facebook and Twitter, or Facebook and Instagram​ – can work great for a business. Otherwise, you will find yourself spread too thin and not doing any of your pages justice. If you become overwhelmed – consider hiring outside help. 2. Tidy Up Your Website: On a related note, take a good look at your company website and make this the year you invest in a little sprucing up. Conduct a website audit to go through your pages to find and fix broken links, missing metadata, etc. Also, are you using Google Analytics and taking advantage of inbound marketing opportunities? Where do your customers go after visiting your site? How long do they stay? Let’s not forget that old adage “You never get a second chance to make a great first impression.” Again, think of your website as your business’s online home. A great​-looking, easy-to-navigate and error-free site is vitally important to your overall business success. If your website looks sloppy, is difficult to navigate or is riddled with errors, it reflects badly on your business as a whole and could turn ​off ​potential customers. 3. Leverage PR Opportunities “Close to Home:” Look for ways within your local area to get media and retail exposure. While your long-term PR wish list might include being featured in Real Simple magazine or, if you’re a product creator, getting carried by Bed, Bath & Beyond, thinking “small” can actually be a big benefit when starting out. Media coverage by your community newspaper, or a small blog, or perhaps entering into a retail partnership with a local boutique are both fantastic ways to ​boost ​awareness about your business. And you never know where they might lead! A quick tip: write an email to a business editor at your local or regional newspaper sharing your entrepreneur story for editorial consideration. Be sure to let them know if your business gives back to ​a local charity ​and any other angles that might pique their interest. 4. Make it Crystal Clear What Makes You Different: Identify your special niche in the market and brand it like crazy! It’s absolutely critical that you identify what makes your product or service different from others in your category. Communicate that ​clearly ​in all of your branding (on your website, social media, in customer service, and all other marketing channels). Be consistent. If your product is Made in the USA, handcrafted, made in small batches, or designed with eco-friendly materials, make sure that information is prominently displayed in all of your branded materials. Charity Events- Not just Good Karma: ​ Look into opportunities to get involved with charities. Many charity events hand out gift bags to all guests and they welcome companies willing to donate product. While you’re doing good, why not make it part of your company’s mission? Consumers love a brand that gives back. Plus, who doesn’t like helping others? ​Become an Expert in Your Field: Position yourself as an expert in your industry. Barbara Corcoran of Shark Tank fame considers an article she wrote that appeared in the New York Times key to her incredible success. Consider contributing to a blog or local magazine​ on a topic that incorporates your product or service. Finally, if you decide to invest in a PR campaign, be open to all media opportunities​ and excited about building up your repertoire of media coverage. Don’t forget to share on your website and social media and contribute to the online conversation. 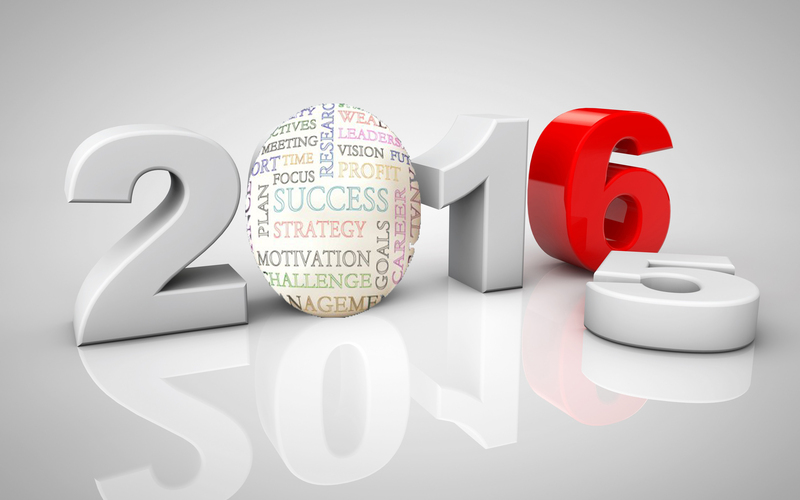 Here’s to much success in 2016!